One of my favourite things about homeschooling is the never-ending learning opportunities it offers me. Not only do I get to facilitate and witness my children’s learning, but every year I get to learn how to be a better homeschooler. Since love of learning is – according to the Authentic Happiness Centre’s VIA Signature Strengths Questionnaire – my greatest strength, this means I get to live a pretty charmed life! 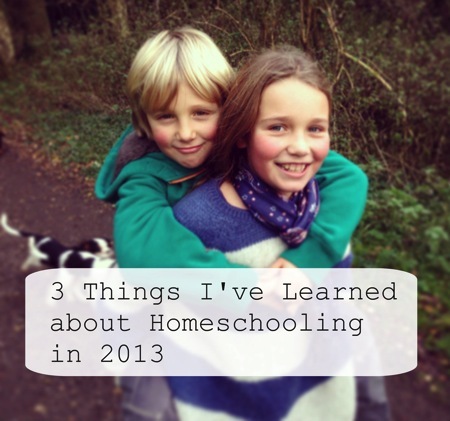 Here, in no particular order, are three of the many things I’ve learned about homeschooling this year. 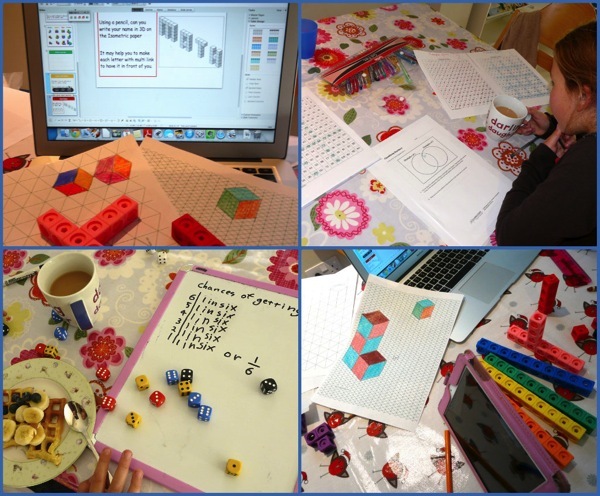 I have friends for whose families maths curricula work wonderfully, and I’m delighted for them. But although everyone in our family likes maths, we’ve never got on with a maths curriculum. Back in April we gave up trying to find one, and began a living maths experiment. We love being able to choose which maths topic we learn about when, and what resources to use. I am more in tune with my children’s needs and abilities than any curriculum could be, so as well as being more enjoyable, learning maths this way makes much more efficient use of our time. C(10) and J(8) benefit from one-to-one attention learning maths this way. With any curriculum there is the temptation to leave a child to get on with the set number of pages while you get on with something else. My long-term goal is for my kids to be independent learners, but the best way for that to happen is for me to be by their side now, enjoying puzzles and stories, asking good questions and modelling creative problem-solving strategies. We’ve recently looked at some of the maths test papers English schoolchildren sit in Year 6 (Grade 5). Sitting comfortably at my side, my kids approach the test questions as fun puzzles. Even if they haven’t come across a topic before, they don’t panic – they try to figure out a way round. (And I make a note to explore the topic together another time.) Homeschoolers don’t have to take these tests, but I find it reassuring that C(10) and J(8) would have no problem passing if they did – no curriculum required. When my kids want to find out how to do something, the first place they go is YouTube. 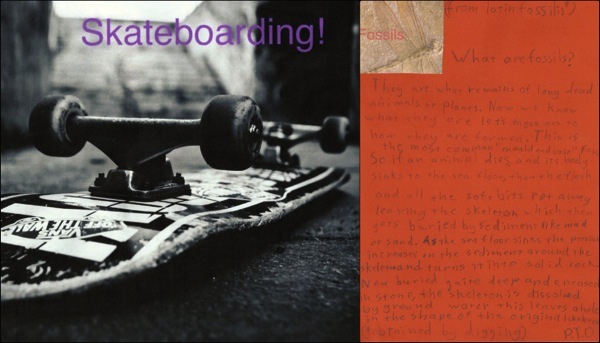 In the last few weeks, C(10) has prepared illustrated essays on fossils and the history of skateboarding using YouTube as one of her primary research sources. She also teaches herself drawing, sewing and cooking techniques, and guitar chords from videos. 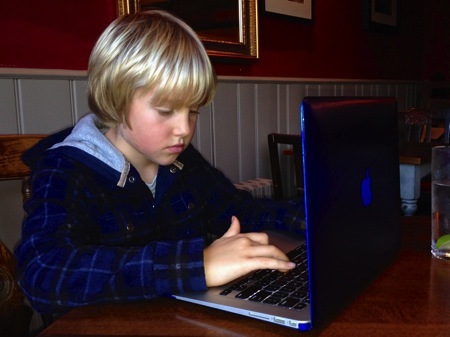 At the moment, J(8) mostly uses YouTube to solve specific problems in his computer games, but that doesn’t make the critical thinking and writing skills he’s acquiring during the course of his research any less valuable. For some reason it took me a while to catch onto this trend and use videos in the learning we do together. I guess it’s another layer of my deschooling (“learning must come from books”), combined with having grown up in a different technological era. Sometimes when I look back on a school year, it feels like we haven’t accomplished much. Yet when I look back on the three and a half years since we began homeschooling, it’s obvious my children have learned heaps. Similarly to the way they get taller when we’re not looking, children seem to learn in spurts rather than in one continuous steady flow. Or perhaps learning is more like the movement of waves in the ocean – always happening, but only visible at certain points in the cycle. The more of these learning cycles I witness, the easier I find to stay relaxed during periods when not much seems to be happening. J(8), for instance, does a little copywork or handwriting practice most days, but until recently had never written more than a few comic strips of original writing. Then last month he sat down at the computer and wrote a 1,500 story for NaNoWriMo. A story filled with the rich vocabulary he had apparently acquired over the previous two thousand hours he’d spent lounging around wearing headphones listening to audiobooks. Talking of audiobooks, I used to wonder how J(8) would ever learn to spell, without seeing actual words in books. Then suddenly, about a month ago, he began inundating me with “How do you spell…?” questions. These come at all sorts of odd times, like when we’re out walking or he’s in the bath, rather than while he’s writing. Meanwhile I’ve started receiving perfectly spelled emails and text messages from him. To the untrained eye it might appear that J(8) did nothing for several years and then learned to write and spell in a month. But really, like a wave steadily moving towards the shore, he was of course learning all the time. I thoroughly enjoy this post, Lucinda! It’s so reassuring to learn about how other children learn, and that their learning process is not as linear and singular as institutional schooling have us believe. Also thanks for the mention. 🙂 It’s great when we share resources that we find useful, because that is how we all learn together and from one another. I’m feeling really inspired. Thank you! Thank you, Hwee! I know what you mean, the more I read about the many and varied ways children learn, the better I feel – and the more inspiration I garner! I’ve actually seen a couple of people big in the homeschooling world claim your kids learn nothing while watching videos, and then I just wanted to laugh at the book she’d written and take it a lot less seriously. Strange. Maybe she’s got the one kid that doesn’t learn from videos?! I really like your point about watching videos. It has been a real struggle for me to understand just how much my boys learn from videos. While my own preference is to read a book, they are strong auditory learners and picture thinkers. Thanks, Carol. Yes I much prefer a book or even a written web page, too. I can’t be doing with the time it takes to watch a video compared with the time I could quickly scan for the information I need! But my children are also much better auditory learners than I am so combine that with engaging images and it’s the perfect recipe for learning! Wow, what succinct points! And so true. ALl of them. I am struggling right now with methods, curriculum, time spent on each subject…uggh…I need Christmas and the break and then I’ll get back into a routine, hopefully, come 2014 with renewal! Thanks for sharing your thoughts.!! Havea great day, Lucinda.”See” you soon! Hi Chris! Thank you you for your kind words. We have slowed right down and are doing lots of baking and decoration-making at the moment … we’re having a ball. I don’t think we could stick to a routine in December if we tried! What great lessons! Thank you for sharing. This is wonderful encouragement as we (possibly) begin homeschooling our children when my son starts kindergarten next year. Thank you so much, Angela. I’m delighted you stopped by so I could find your blog, and thank you for the invite, the link-up looks great! I stumbled upon your blog a few weeks ago and LOVE it. I’m a former teacher w/ an unschool-y bent and the only curriculum I’ve ever purchased is for Math. Since reading about your approach to math, we’ve not used that curriculum much anymore. I’ve read several of the books/sources you recommend and have found them very helpful. Just wanted to say thanks!!! Keep sharing and writing, please!!!! :). I’ve got lots to share about the maths we’ve been doing over the few months – your comment has encouraged me to get round to writing about it! This is one of my favourite posts of yours. 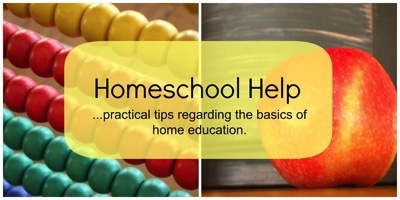 It is so much fun watching the changes in your homeschool. You are all obviously thriving and it must be so gratifying to find something that works for you. I’m looking forward to more maths posts. I’m so pleased you feel confident because, whilst I can see the girls enjoy it far more than curriculum maths, their mother (me!) is worrying more than she ever has done about whether it’s the right thing. I keep taking a peek at Saxon wondering whether to put them back on it! Ahh thanks, Claire. I think I’ve enjoyed maths more than any other subject this term. Just as well really, given my children’s lack of patience with curricula! We love using youtube videos, and not just for my son, they’ve been a huge help for me when learning to crochet! Hi Debbie, and thank you! Yes youtube is great for crafting, isn’t it? Now that’s an idea, I’ve totally forgotten how to crochet. One to do with the kids over the holidays, perhaps! Great post (and a bit of an inspiration to this tired blogger!). Your living maths continue to be an inspiration to me to not forget the “fun” maths. My kids have watched about a billion hours of anime this year, but have learnt so much Japanese it almost makes up for it! And it’s amazing how much they learn when you aren’t watching 😉 Thanks for the reminders! Thanks, Ingi! I love hearing about what your kids are doing, being a few years older than mine. I’m looking forward to them getting into anime – C(10) is just starting to get interested. I’ve heard such good things about what they learn around the edges! I think those are wonderful life lessons. I thank you for teaching/reminding the rest of us. I really like #3 and have found that to be my experience, too. I loved reading this post! As you know we gave up our maths curriculum too. “With any curriculum there is the temptation to leave a child to get on with the set number of pages while you get on with something else.” Oh that is so true! I used to think maths was the easy subject because it was all laid out neatly and all I had to do was mark the problems after my children had worked them out by themselves. Not so easy when they started to hate maths and not understand it! Yes, I love working alongside my children too. What a great opportunity we have to learn and get a real education! I’m sure when I was at school I used to quite enjoy just working my way through the textbook, but I wonder if that was just because it offered me a few quiet moments to myself! I feel so happy to have created an atmosphere in my home in which my children are free to let me know when something isn’t working for them. If they hadn’t told me they didn’t like our maths curricula, I’d be missing out on so much fun learning alongside, as you say! Pingback: Raising Independent Learners | Let's Play Math!